Easter Lily style paper flower templates. ♥ Full step by step video tutorial to learn how and build this pretty flower. ♥ A video tutorial is included in the FAQs .pdf to learn how and stem a paper flower so you can make arrangements and bouquets. ♥ This flower will measure about 3.75-4 inches unless altered. ♥ Templates work with 8.5 x 11 cardstock. 65 lb weighted is best and you will need scissors and glue gun. ♥ Optional: Check out our specially designed paper flower shaping mat and rolling tool set to perfect your paper flowers! ♥ You will receive a confirmation email from Catching Colorflies to download your files. (Instant download). ♥ If you have trouble accessing your order please contact me so I can make sure you get your files. 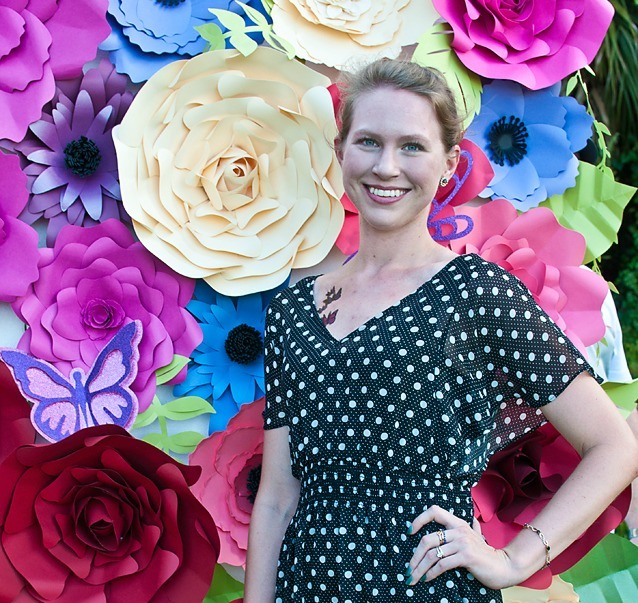 Grab our new hard copy book, The Art of Giant Paper Flowers with full workbook here! - If you wish to use our designs for resale of the paper flowers you create using the templates click here to read details for the Seller's License.